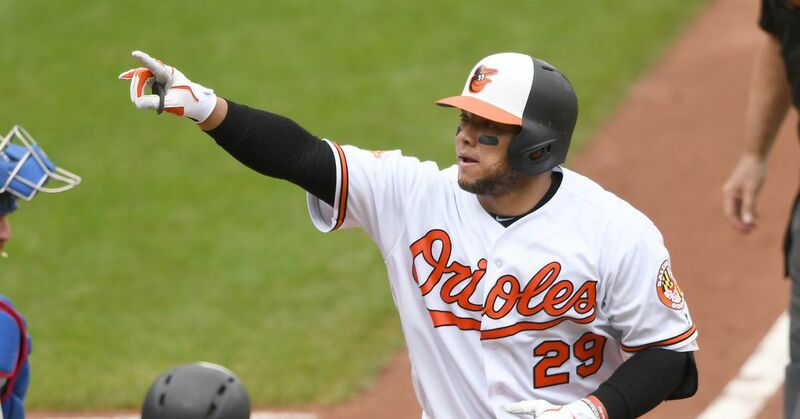 The Orioles have reinstated C Welington Castillo from the 10-day disabled list and C Francisco Peña has been designated for assignment. The Orioles have selected the contract of C Francisco Peña from AAA Norfolk and placed C Welington Castillo on the 10-day disabled list. Castillo CLUTCH with the Walkoff! The Orioles have reinstated C Welington Castillo from the 10-day disabled list and OF Craig Gentry has been outrighted to Triple-A Norfolk. Castillo's 1st 💣 as a Bird! Good move for the Orioles, who get the veteran they want while they wait on prospect Chance Sisco. Dbacks place Welington Castillo on paternity list, recall Oscar Hernandez from Double-A Mobile.